The Google Cloud Platform Console provides an interface for inserting, editing, and deleting data in a Cloud Spanner table. 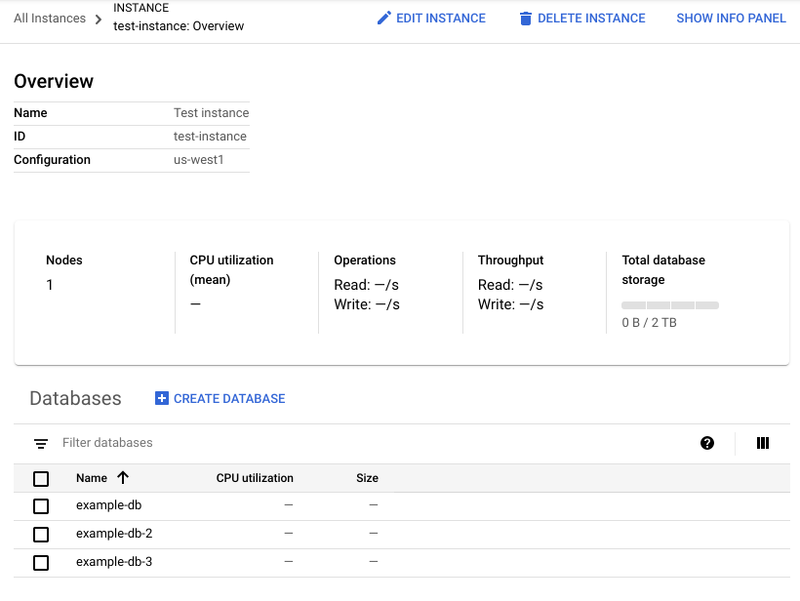 To get started, open a table of Cloud Spanner data in the GCP Console. Go to the Cloud Spanner page in the GCP Console. Click the name of an instance. In the left panel of the instance details page, click the name of a database. Under Tables, click the name of a table. On the table details page, click the Data tab. You can insert, edit, and delete table rows in this tab. See below for detailed instructions. On the Data tab of the table details page, click Insert. Enter the values you want to insert. To set a field to <NULL>, leave the field blank. To set a STRING field to an empty string, check empty string. BYTES values cannot be viewed or edited in the console. Instead, use a client library. See Data Types for more information about available types and their properties. 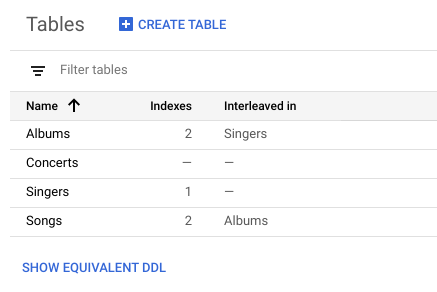 The GCP Console displays the data from your table, including the inserted row. On the Data tab of the table details page, select the row you want to edit, then click Edit. Need help finding a row? Type its primary key into the filter box. Edit the values, then click Save. The GCP Console displays the data from your table, including the modified row. Note: Deleting a row will also delete its child rows if the child rows have ON DELETE CASCADE enabled. However, if the child rows do not have this setting enabled, you will first have to delete all the child rows in order to delete the parent row. On the Data tab of the table details page, select one or more rows you wish to delete, then click Delete. In the dialog that appears after you click Delete, click OK. The GCP Console displays the data from your table, which no longer contains the deleted rows. For an interactive example of inserting and modifying data in a Cloud Spanner table, see the Quickstart using the console.